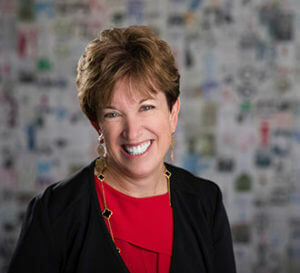 After 22 years here, Lisa Farber Miller, senior program officer for Jewish Life, is leaving Rose Community Foundation. Ms. Farber Miller has been an integral part of both the Foundation and the Greater Denver Jewish communities for decades. Judy Altenberg, a Foundation trustee and chair of the Jewish Life Committee, offered the following reflections at a farewell reception for Ms. Farber Miller. For those of you who know me, you know I’m not a procrastinator. And yet, I had a great deal of trouble putting pen to paper. To think about the Foundation and chairing the Jewish Life Committee without my partner, Lisa, is difficult. Last night at JEWISHcolorado’s CHOICES event, some of us here had the privilege of hearing from Dr. Deborah Lipstadt, a renowned scholar, author and historian, and for some, our Wexner teacher. Deborah’s beautiful message was that in this difficult stage that we as Jews face with rising antisemitism, it is so important to NOT let OTHERS define you as a Jew, but to instead to embrace the richness, beauty, culture and tradition of Judaism. And Lisa has allowed so many of us in our community to do just that – for more than 22 years of deep involvement in Jewish life. Lisa understands how people enter into Jewish life and the portals into it. She sees that we need to define ourselves as Jewish, and what doing/being Jewish is varies to many. But she has always recognized that we are not Jews because someone else has placed that label on us. Lisa, through the Jewish Life Committee, has provided countless opportunities for our community to embrace our Judaism, whether through programs like Rose Youth Foundation, MazelTogether, or Roots and Branches – finding teens, young adults embarking on their philanthropic careers, and young families looking to connect to their Jewish community. 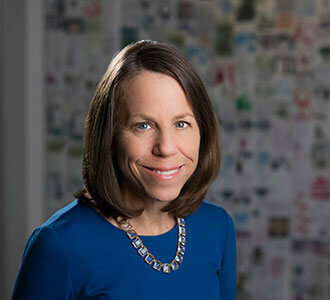 Lisa has reshaped the landscape around Jewish early childhood education and understanding that this might be the single most important portal into Jewish life while beautifully collaborating and leveraging other donors who care as deeply about this touchpoint (while becoming a nationally recognized thought leader in the area). For those of us developing our Jewish knowledge and leadership, Lisa – with the incredible persistence of then-chair Irit Waldbaum – brought Wexner back to Denver, changing the face of Jewish leadership in our community. Wexner has now been here 3 times and is on the list to return again. As a participant in this incredible journey, and for those of us who learned how to embrace our Judaism with fidelity and education, I thank you. Lisa has been a tireless advocate for the JCC, both in Denver and Boulder, recognizing that a community needs a vital and vibrant space as a portal to a rich Jewish life. Lisa has been incredibly prescient in understanding the trends of Jewish life. She understands what Deborah Lipstadt speaks about – ensuring that young Jewish families looking to connect can gather together on their terms. We all speak a great deal about interfaith families, and the importance of providing opportunities to ensure that these families feel equally welcomed in our community. Lisa’s work, and certainly the Foundation’s significant financial support, has been transformative in the teen space. We have engaged Jewish teens in ways not previously done, and have tried to understand their needs and wishes to become part of a vibrant community. Our success around the teen initiative is due to Lisa’s foresight in understanding this space. Lisa understands that in order for a community to be strong, we must support all streams of our community, and back creative, innovative and sometimes risky approaches to being/doing Jewish. The Jewish food and farming movement were largely based in Denver and Boulder, and thanks to Lisa’s recognition, that for some, being Jewish turned on our environmental underpinnings so deeply embedded in our history and Torah. I know I speak on behalf of all of the past chairs of Jewish Life – being chair with Lisa as our partner has been an unbelievable learning experience, both professionally and personally. Not only has Lisa been a colleague, collaborating and seeking out our opinions as chairs, but each of us has developed a truly meaningful relationship with her as well. So for all of the past chairs of Jewish Life – Lisa, thank you for helping us along our Jewish journeys to appreciate the richness and depth of Jewish Life, and also for your friendship and sisterhood. I am honored to have been on this journey with you. Kol hakavod on 22 amazing years.